Update, January 26: The Sea of Thieves closed beta has been extended. In the wake of technical issues, Rare have announced that the Sea of Thieves closed beta will be extended by two days. The beta will now end on Wednesday, January 31. 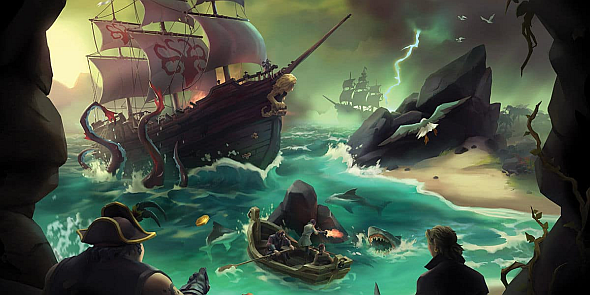 Here’s what you actually do in Sea of Thieves. A solution “began rolling out last night (UK time) and is unfortunately taking longer than anticipated to reach all affected players.” The team have set up a dedicated article on their support site to help with the issue. To help as many people access the game as possible, the post also confirms that the beta will run for an extra two days. Original story, January 25:Sea of Thieves entered its closed beta yesterday, and it didn’t take long before it started making waves. Rare’s open-world pirate adventure had a few technical hiccups, but otherwise found some significant success. According to Inquisitr, Sea of Thieves raced to the top of the Twitch charts, with over 170,000 viewers watching streams of the game. For the record, that’s more than League of Legends, PUBG, and Dota 2. Even now, it’s sitting in a healthy fourth place, above Hearthstone, CS:GO, and Overwatch, with a little under 50,000 viewers. It wasn’t all plain sailing, however, as some players found they were unable to access the beta. According to a tweet from the official Sea of Thieves account, some players were receiving a “too early” error when trying to launch the game. According to a later tweet, that issue should now be resolved – 12 hours ago, the team said that “the remaining cases should be resolved within the next two hours,” although so far have not offered an explanation for the fault. Some players, however, say they are still seeing the message. We’ve reached out to Microsoft to ask whether the beta will be extended in light of the issues, and we’ll update this post when we know more. Sea of Thieves is set to release on March 20, and will be available on the Xbox Game Pass (which is also available to PC players) on release.